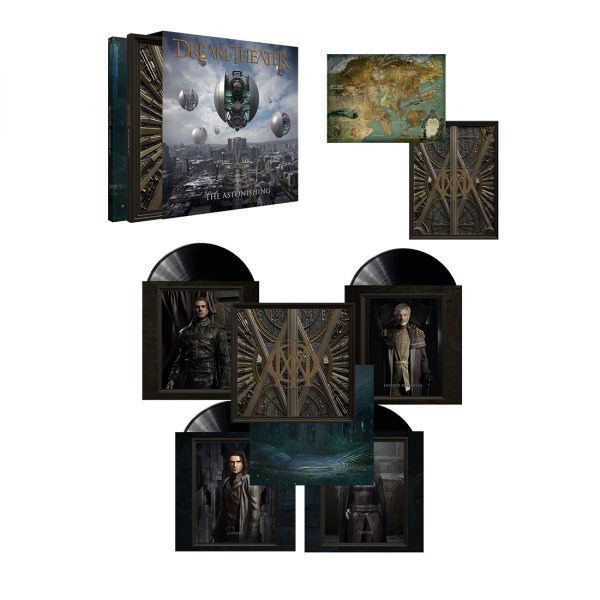 The Astonishing Vinyl Box Set features a Custom 12”x12” hard slipcase that houses a 4LP set of 180-gram black vinyl housed in 2 gatefold jackets with inserts. A Double-sided 18”x24” map of The Great Northern Empire of the Americas. This bundle also includes a digital download of the album.